All mods sold under this profile are developed by Stellar Soft Solutions. Stellar Soft Solutions is operated by a professional programmer with more than 10 years experience in Web Site development and Support. Our Specialty presently is Dolphin Module Development and Customization. Custom work is done at a rate of $30 per hour. 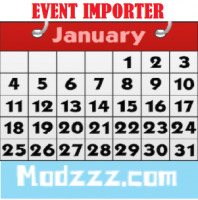 Installations are typically done within 24 hours of mod purchase. Please allow up to 48 hours for response to mod support requests as there is a very huge demand for my services. Availability: Available for limited custom work. i FTP's this mod to my boonex site but when i try and install i get the unable to handle this request HTTP error 500? 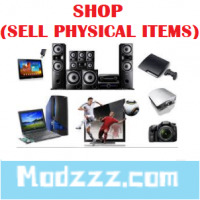 Shop (Sell Physical Products) is and excellent module install on my site by modzzz. Thank you, job well done. 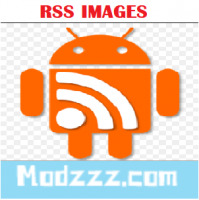 I had Photo Carousel (Multi Purpose) install by modzzz. This is a nice module, excellent job. This installer is very fast, excellent job. Highly recommend. Excellent job, i would recommend this installer. I had Gossip install on my site. The installer was very quick and accurate, job well done. I will recommend this installer to anyone. Very easy to install and works great. I hope to see this updated for UNA. 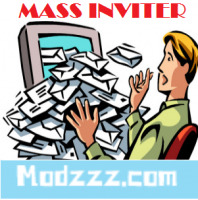 Hello Modzz, I have to answer here, because I can not open my mailbox. Unfortunately, writing is not possible either. I do not know why. I tested the rewards as admin and as a normal member. You can also log in to me Ralf and Klaus. "Password is the same. 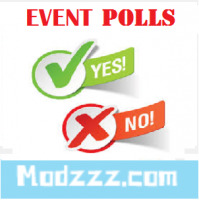 When are your modz coming to UNA market? For those with imagination, this module is SUPER powerful. That's all I'm gonna say except for this last bit - Some may discover its true power by accident. I have installed this module successfully. But my doubt is how to submit a ticket by a guest (site visitor)? I purchased this over a year ago for a very demanding client. They were skeptical that we could provide all the functions without custom programming in Wordpress. We built the site and imported over 10,000 listing from a CSV file. Everything worked perfectly .... the first time they tried the 'claim this business' they were surprised how easy it was. They changed for an upgraded , with videos etc, listing. 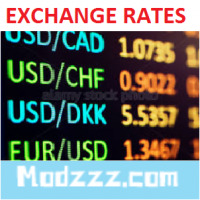 Just a note to say I am very happy with modzzz service, professionalism and responsiveness to requests for assistance and customizations. Thank you! NOTICE TO CLIENTS : I remain committed to providing support for Dolphin and my portfolio of products for as long as Dolphin will exist. I will also commence porting my products to UNA in the near future. For all outstanding product support requests, I am working slowly but surely to handle them. I do not recommend this person as a custom developer. 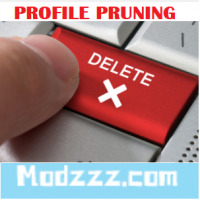 Modzzz has been stringing me along for over a month over very simple changes to a mod. 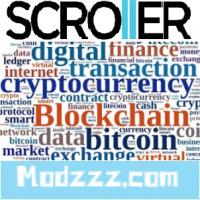 I have paid but I am not sure if Modzzz ever had any intention of completing the project. Not one line of code has been applied to my site since the project began although he has sent me emails saying otherwise. He only responded to my messages when I foundhim through his other forum posts on the site. I know sometimes things come up and I was prepared to be see more understanding but there is something strange about this developer..very unprofessional behaviour. This person is not being truthful about "not one line of code has been applied". 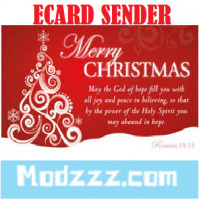 I have taken a screenshot from their site with the modifications I have made and this can be seen at http://www.dolphinmods.com/gracey.png . 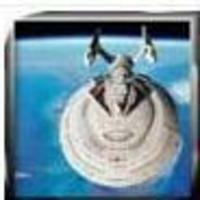 I am one of the last standing developer on this site and even after most other developers have jumped ship I have remained to provide support to my products and offer help where I can. Hi Modzzz, I am just stating what has happened. You should not have posted the link that you wrote above (http://www.dolphinmods.com/gracey.png) because anyone that has your original meeting mod can check what their mod looks like and see there is almost no difference with the screenshot you have posted in the link. In more than a month, you have just removed an icon and changed one line? And I have tested the final zip file you have sent me. On the actual website, you have done the work to add see more the users but the pictures are missing. On the final zip file you sent me, you have added the pictures (without the customised css I requested) but the users are missing. Am I ever going to the completed work from you? Let me know. And please note that if you were responding to messages, I would not have to contact you through your page. Again, you are not being truthful. Anyone can look at http://www.dolphinmods.com/gracey.png and see that it shows the list of participants which is not in the original module. I will not provide any further follow-up here. This is not a support page. This section was meant to provide feedback only. Please contact me by regular support channels. Hi Modzzz, you have not responded to my messages. I had to find out you are still active on the Forum. Can you let me know the status of the mod? Mr.Modzzz a professional. I have use a lot of his modules. Very-very easy to install, looks very good, very necessary and useful additions. I just got this module "Preload", installed it and configured as wanted. It looks awesome! In the pack 30 different preloaders, i choose one, background like site backbround, and you can look at it (i don't advertize, just wanna show the effect - https://www.sovremennoepravo.ru/). It awesome script, users love it, it look modern! Very friendly and good guy - that's my opinion. I used Modzzz modules, I do, and I will. Thanks man for you job! Nothing but good comments to give to Modzzz, thank you for all the great work and support. I anticipate this module will be heavily used and enjoyed by my members. Easy to install and easy to program each station to stream. For the 35 stations that I've loaded myself (so far), a different icon for each has been selected, but a default icon is provided in case you choose not to upload your own. Members aren't restricted to your choices for stations, either. They can add their own, as well. The pop-up player *really* makes this module shine! Members can continue to listen to their see more favorite station regardless of where they navigate to on your site. Bottom line: Social Radio will greatly enhance *any* Dolphin site, IMO! Modzzz, this Actions Manager is one of the best. A must have. Highly recommended. Thank You! 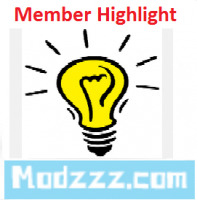 Another great Module from Modzzz. Easy installation and works like a charm and for a reasonable price, THX Modzzz! Its ok. i would really like for the description of the radio to be on the popup page but its ok maybe in the next update? or maybe even a way to edit the blocks in the popup page. that would be great. Hey Modzzz, thank you for your work, like always the service you provide is top of the line! 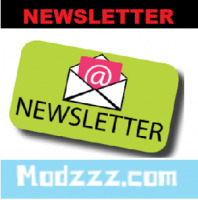 Thx Modzzz, good extension for site news. Does what is said, installation quick and easy - thumbs up! Do you have a version for the latest version of Dolphin? Is it possible to export the Users Credit balance as well? This what we were looking for... it adds a lot of missing features to the groups. We do have a few questions as how other groups modules will interface with it like the groups cover module from the same author. Have a few suggestions for the embedded videos from youtube though. Would be nice to have a description field that will open below the video once it's selected and the ability for people to comment on the videos embedded. Interaction is what builds the website and comments encourage see more interaction. Would be nice to see if it counts the views too. THX Modzzz for this very usefull module. Installation easy, admininstration interface does what is necessary. Great module. Recommended! The best codder. Thanks for the module, i really need it, and Modzzz made it exactly as I want. No doubts. Best ever. Thanks Modzzz for this module; it allows one to customise a group page to be unique. It is a must mod to include in a site that uses groups. I have sent you a message and have not received any response from you yet. Kindly check and respond. Thank you. The mailer works beautifully, nice layout for the recipient. am happy with it! Not recommended in combination with spotlight. Unfortunately, no response from the builder. I've set up a "test" member and regularly log in to see what he sees. It's sometimes confusing working on a site when you're the administrator. You see far more that others and you sometimes wonder how private some stuff is. By logging on as a member, you see a different world and it can be very comforting. It's also useful when a member experiences problems. Simply log on as that member and sort things out for them. I haven't used all the features of this mod yet, but using it the way see more I do is still great value.